Win On The Road in Premier Cool In Store Activation. Weekly draws: Lifestyle items such as Fridges, LED TVs, Microwaves etc. will be won from weekly draws held in each store. 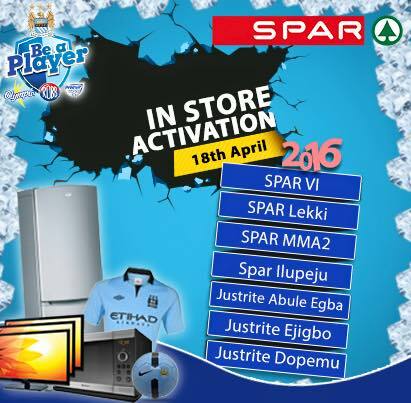 Grand prize of 4 all-expense-paid trips to watch a Manchester City game live at the Etihad Stadium in Manchester, UK will emerge from draws at the end of the campaign..
2 winners will be selected from each Hypermarket Chain. Their prizes will be trips to watch a live match at the Etihad Stadium in Manchester. 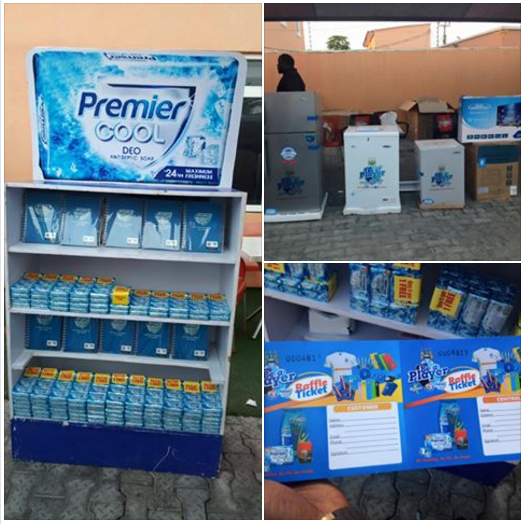 Purchase N500 worth of Premier Cool, Olympic and Robb products and stand a chance to win fabulous prizes such as fridges, deep freezer, LED TV and microwave ovens.